Just like there is no one record or an exact date when Rock & Roll was “invented”, the same holds true for the transition from Rock & Roll to Rock music. “Rock” isn’t just a shorter term for Rock & Roll, it’s actually a broader term that allowed all the experimentation and development in the 1960’s to be placed under that one umbrella. At it’s breakthrough time in the mid 1950’s, Rock & Roll was mostly a feel good uptempo blues based sound. Little Richard, Elvis Presley, Chuck Berry, Jerry Lee Lewis and more gave us some great songs, with lyrics that were mainly aimed at teenagers. Some variances in styles developed, like Doo-Wop and Surf Music. But still, the songs were mostly about love and lost love. That continued with the early songs by The Beatles. Paul & John would use pronouns to personalize songs for teenage fans…”She Loves You”, “And I Love Her”. Then about 1965, folk music in general, and Bob Dylan in particular (“The Times They Are A-Changin'”, “Like A Rolling Stone”), helped artists realize that Rock & Roll could take on greater meanings, and broader subjects. Popular music began to transform. The Beatles and other artists started writing about a much wider variety of topics, from introspective to universal. Musicians also expanded instrumentation and recording techniques, and began to draw from more influences. Around 1965 and moving forward, Rock & Roll started being categorized as…Folk Rock, Country Rock, Blues Rock, Jazz Rock, Psychedelic Rock, Pop Rock, Hard Rock, Progressive Rock, etc. When referred to overall, it was simply called Rock. The term Rock & Roll is still popular to use, because that started it all, but If you say “the Rock & Roll era”…it’s the mid-fifties to the early sixties. Rock, on the other hand, doesn’t refer to a specific era, and includes a wide variety of musical styles. It’s up for debate whether Rock’s broad sweep should include Pop, Hip Hop, and Rap. But let’s try to pinpoint the timeline a little more. Almost without fail, programmers of Classic Rock formats on radio stations (and now streaming services) start with the year 1967. It was the year of The Doors (“Light My Fire”), Jefferson Airplane (“White Rabbit”), Buffalo Springfield (“For What It’s Worth”), Jimi Hendrix (“Purple Haze”), The Who (“I Can See For Miles”), and of course, Sgt. Pepper’s Lonely Hearts Club Band. Music wasn’t “I Want To Hold Your Hand” or “All Shook Up” anymore. If you’re looking for the golden age of Rock, its the 1970’s. 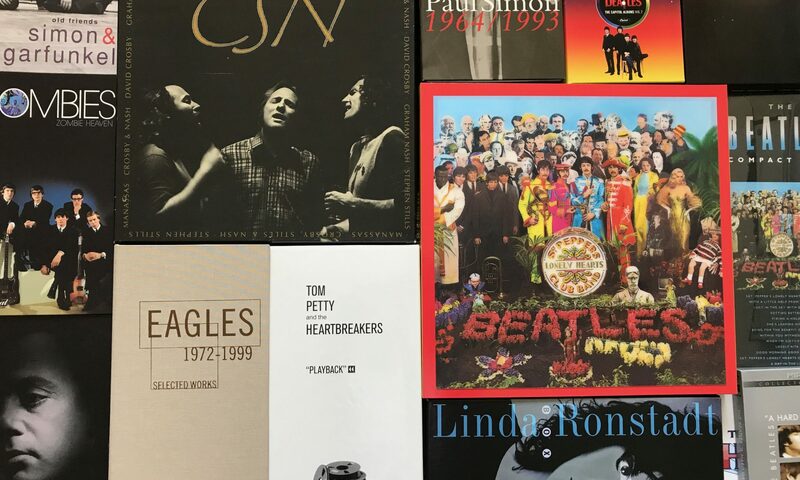 Led Zeppelin, Eagles, Bruce Springsteen, Tom Petty & The Heartbreakers, Bob Seger, The Rolling Stones, Fleetwood Mac, Queen, Van Halen, Pink Floyd, The Who, Linda Ronstadt, Lynyrd Skynyrd, Eric Clapton, AC/DC, The Allman Brothers Band, Emerson Lake & Palmer, The Doobie Brothers, Creedence Clearwater Revival, Chicago, Aerosmith, Black Sabbath, Crosby Stills Nash & Young, Supertramp, Steely Dan, ZZ Top, Boston, Steve Miller Band, The Moody Blues, Heart, Santana, Kiss, Deep Purple, Dire Straits, Yes, and the golden age of singer-songwriters too numerous to list. The progression of Rock in the 1960’s, and the inspiration it gave young people to take up music, caused an explosion of Rock in the 1970’s. There have been many outstanding Rock musicians and songs in all of the decades after the ’70’s, but whether it’s called Rock & Roll or Rock, it’s currently taking a back seat to other types of music. Maybe there are young musicians practicing on their guitars, keyboards and drums, ready to return Rock back into wide popularity. We hope Neil Young is right…”Hey, Hey, My My, Rock & Roll Can Never Die”.